Aberdeen based commercial property developer, Knight Property Group are set to develop further industrial units on a speculative basis at Kingshill Commercial Park. Due to the success of units 1-4 at the Commercial Park and the pre let of bespoke build Unit 7 to Power Jacks, Knight Property Group are driving forward with the speculative development to meet what they perceive to be a gap in the market for such units. Unit 6 will comprise of 5 smaller industrial units each of 2,500 sq. ft. The units will be constructed to a high specification and include individual entry via electric roller door, concrete yard and high performance cladding. Partner at Ryden, Paul Richardson said: “It is great news that Knight Property Group are shortly going to be commencing the construction of a new build terraced industrial scheme at Kingshill Commercial Park. The market is in desperate need of smaller, high quality buildings and we are already experiencing good levels of occupier interest. 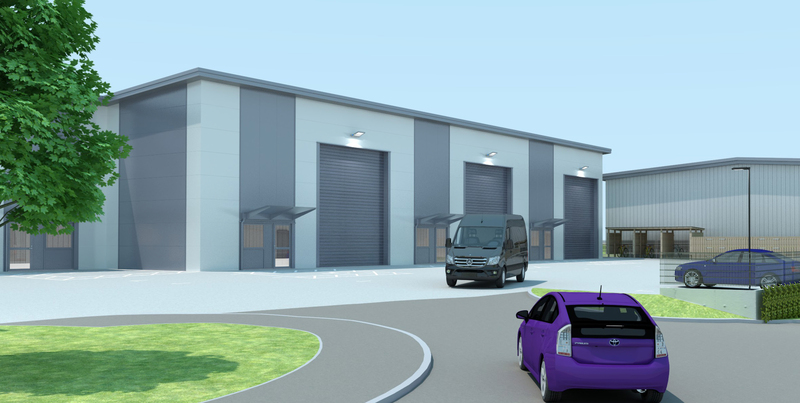 This is also the first speculative development of terraced industrial units in Aberdeen for about 10 years, this highlights that Knight Property Group are positive about the Aberdeen industrial market and are happy to continue to invest in the area. Managing Director at Knight Property Group, James Barrack said: “Over the years we have proactively built property based on occupiers needs. Unit 6 will be ready for occupation in September 2018. Kingshill Commercial Park, located in the popular area of Westhill, can accommodate up to 10 buildings which range from 10,000 to 17,000sq.ft. Alternatively, bespoke units can be designed and built to suit specific user needs. The completion of all units could see Kingshill Commercial Park bring in up to 1,000 workers.